Published in Quilts of Illusion, my first book discussing the optical illusion appearance of some antique quilts, this example is the back cover of the first printing. By tilting the pieced TREE blocks to point inwards, the maker created a secondary pattern of bold white geometric forms. The one fabric used is a 'buffalo check' red and black plaid more famliar today in Ralph Lauren clothing! 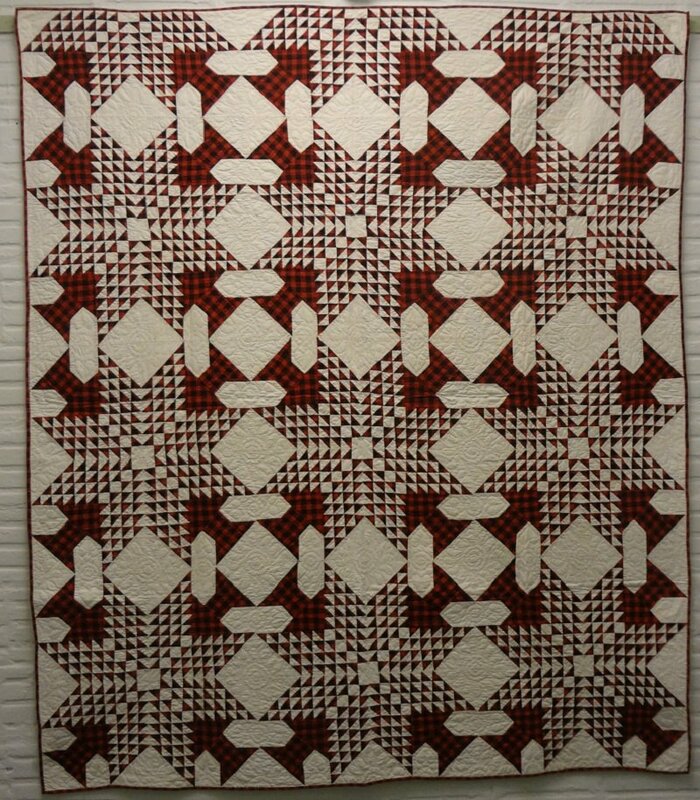 In never used condition, and an historic uncommon example of imaginative piecing that elevates the quilt making tradition to a more sculptural art form.